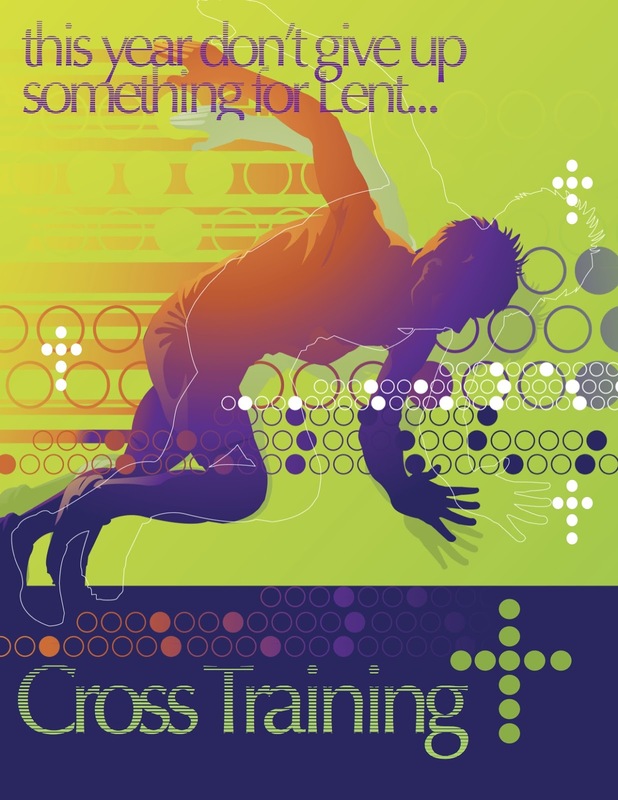 Cross Training - Week One "Eyes On The Goal"
This Sunday is the First Sunday of Lent, and the beginning of a new sermon series that will take us all the way to Palm Sunday---a series entitled "Cross Training." The focus of this series is on lessons that we can learn from the life of Jesus that will enable us to endure hardship, have faith during times of trouble and draw closer to Christ in our journey toward ultimate redemption. 7 He went down with them and stood on a level place. A large crowd of his disciples was there and a great number of people from all over Judea, from Jerusalem, and from the coastal region around Tyre and Sidon, 18 who had come to hear him and to be healed of their diseases. Those troubled by impure spirits were cured, 19 and the people all tried to touch him, because power was coming from him and healing them all. This is one of the versions of "The Beatitudes," the essential kingdom teachings of Jesus. Luke's version is a little different than the one's we find in the Gospel of Matthew in that it includes not only "blessings," but also "cursings." The "cursings" are found in verses 24-26 and begin with "Woe!" It's interesting that most of the attention given to The Beatitudes is almost always centered on Matthew's Gospel rather than Luke's. No one likes to hear the down side of things, do they? Everyone likes to hear about being "blessed" and not about experiencing "woe." But what if the idea of being "blessed" according to Jesus was not what we expect? The word "Blessed" that is used here in Luke comes from the Greek word makarios which literally translates, "Oh, how fortunate!" Jesus claimed that the following states of being would be "blessed" in God's economy: the poor, the deprived, the guilt-ridden, the persecuted. Even in our culture people in those categories are not really considered fortunate. In Jesus' culture they were considered cursed. It's clear that Jesus has a different way of looking at what is blessed and what isn't. It's about as clear as mud, actually. It doesn't make sense on the surface, does it? It confuses those of us who find ourselves outside of those categories, and perhaps firmly planted within the categories that Jesus declares "woe" over and against. In his day the people with the most to lose in this new economy got pretty angry at Jesus when he said things like this. They were missing the point. Much like most people in our day. In his awesome book, Outliers Malcolm Gladwell identifies the factors that enable highly successful people to achieve success. One of the factors that he believes is true across the board is what he calls "The 10,000 Hour Rule." The idea behind the 10,000 Hour Rule is that if you do something for more than 10,000 hours you will become a professional at that thing. For example, The Beatles played some 1,200 gigs in Hamburg Germany from 1960-1964, not to mention all of the rehearsals in between the gigs and additional performances in their hometown of Liverpool. All of this, according to Gladwell, added up to more than 10,000 hours worth of playing together before they even recorded their first hit record. Bill Gates got his first computer when he was 13 years old and began programming on it almost continuously for years afterward. Gladwell believes that by the time he hit the 10,000 hour mark, Gates was well on his way to becoming a legend and a software mogul. Not convinced? Tiger Woods began playing golf when he was three years old and played nearly every day of his life afterward. By the time he was winning amateur championships as a teen, he had surpassed the 10,000 hour rule by a bunch. What does it take to be so dedicated to your craft that you are willing to engage in this kind of commitment? It takes an act of submission to begin the journey toward a goal that matters. Every one of these people had to submit to the process in order to achieve their goal. They had to submit very nearly every part of their lives to it, in fact. And we applaud them for this. We admire them for this. Their sacrifices and submission are lifted up as acts to be emulated. Because it makes perfect sense that if you want to accomplish something worthwhile, you have to submit to whatever it takes in order to accomplish it. So why is it that us Christian-y types have such a hard time with this when it comes to our spiritual well-being? Many of us read Jesus' teachings and we tend to despair a little because we realize what it will cost us if we are going to follow him. or you could interpret this as "those who have surrendered their need to be controlled by money." or, "those who do not allow themselves to be controlled by their appetites." or "those who are heartbroken over their sin and separation from God." or "those who are bold in their faith and their witness, despite what it might cost them." "those who have allowed their money to become the thing they worship." "those who give in to their desires and appetites regardless of what it does to them." "those who have hearts of stone when it comes to repentance and confession." "if your reputation and appearance matter more to you than your testimony." Like I said... the people with the most to lose are always the most angry about hearing Jesus' words. Listen, when you break it down like this you don't find what some might call "works-based righteousness." Rather, you find an invitation to let God mold his children into everything they ought to be. What Jesus is asking us to do here is to be in submission to God's will for our lives, which requires that we give up our need to be in control of everything. He challenges us to submit our finances---which for many of us means that we submit our very future to God. Do you find yourself worrying more about having enough money than about having enough money to be generous? Perhaps your money has become more important in your life than it should. Jesus challenges us to submit our desires and appetites. This means that you don't indulge every single desire, every single appetite that you have whenever it strikes you. In our culture far too many Christians overeat, drink too much, abuse their bodies, give in to sexual immorality and much more. Jesus challenges us to submit our pride and need for affirmation. While we should not dwell on our brokenness and beat ourselves up for the mistakes we make, we at least need to admit our frailty when it manifests itself. Repentance can only happen when we admit that our need for control has led us to a dead end. Jesus challenges us to submit our reputation. This means that we care more about sharing our faith than we do about what people may think of us when we do. Sometimes having integrity, character and acting like Jesus may cost us some temporary successes or comforts. This should not be cause for worry. Jesus promised his disciples three things: that they would be completely fearless, absurdly happy and in constant trouble. So, what'll it be this season of Lent? Will you let yourself be stymied once again by the challenge of Jesus? Will you give up before you even get started because you feel like you have too much to lose? Or will you consider yourself blessed to submit to God's will for your life---to give it up in order to find it?